The Black & Decker BL Li-Ion Slide Battery Packs hold their charge in between use, meaning they do not require charging before each use and are ready to use. The Lithium Ion technology delivers the same great performance of NiCd batteries, but is lighter and more compact. Suitable for use with all Black and Decker 18 volt Li-Ion power and garden tools. 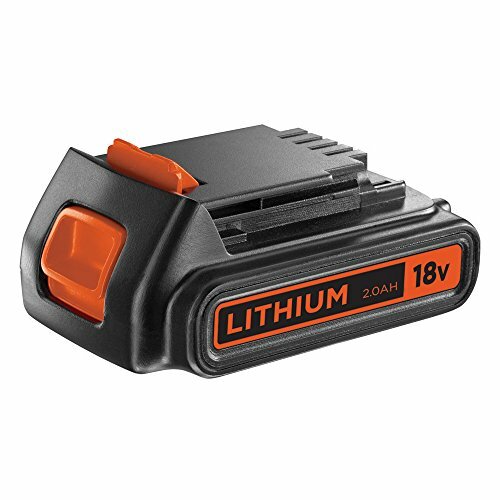 The Black & Decker BL2018 Slide Battery Pack has the following specifications: Battery Capacity: 2.0Ah.Battery Chemistry: Li-Ion.Voltage: 18 Volt.